hello, at new version of TFF (10) no html5 works. Why? Is there a codec problem? Or it is a problem with the websites (blocking old browsers etc...)? Do you mean HTML5 video, or *all* HTML features? 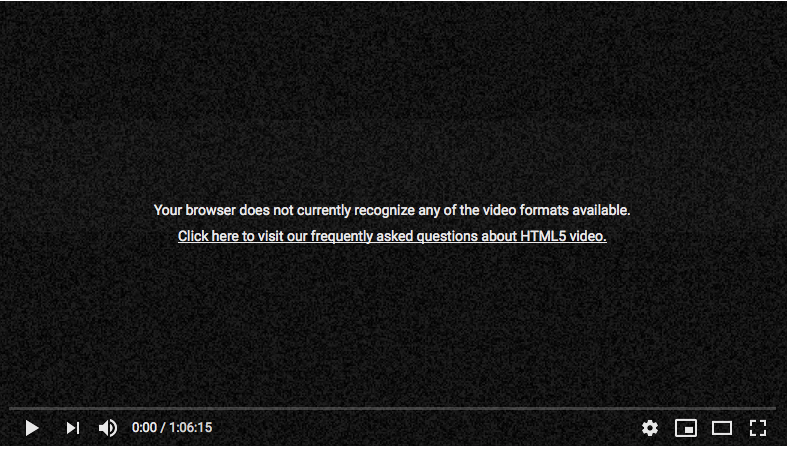 thanks for feedback - it's the problem with HTML5-Videos. And the Codecs at all. It also affects qte - nothing seems working! It does not matter if I switch something. Sorry, i've tried so much - "NoScript or AdBlock"-trials, Script trials, cookies and so son. Youtube doesn't respond at all and therefore does not play the most videos. Please go to Preferences>TenFourFox and check if MSE is enabled. It should be if you're running the latest version of the browser, but if it isn't you won't be able to play YouTube videos. And remember, d10, as in another thread, that y2mate rips excellent videos from YouTube quite quickly, so you can watch 90+% of YouTube vids that way. Can you try this video which definitely works in a standard installation of TFF FPR10 with MSE enabled? If it doesn't, something is wrong with your browser profile and we'll get it fixed. It's not a pleasure. But...thanks so on and - I stay tuned. hello, thanks for it all - but Add-Ons aren't find....sorry, other Links? Earlier last summer YouTube videos stopped playing when using TenFourFox. I just went into TenFourFox preferences, selected the TenFourFox preference menu at teh bottom left, and then under MediaSource I selected: "Enable MSE/media quality options (slower, if available)". It solved my problem and I can now view YouTube videos on TenFourFox. Thanks for the info!